In photo imaging, one program reigns supreme for turning photographs into fine art resembling natural-media-like paintings and illustrations, and that program is Corel Painter. Painter gives the artist a remarkable range of brushes and textures for one of the most--if not the most--creative platforms on any computer. But Painter is also a professional's tool, which requires a high degree of skill and talent to use effectively. 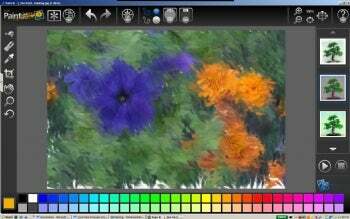 One step down, in both difficulty and versatility, is Corel Painter Essentials, though it also requires a certain level of skill to master. And then there's Corel's new, almost foolproof painting program, Paint It ($40, 15-day free trial). Corel Paint It is a very easy-to-use, though limited, painting program that converts your photos into “art,” such as a pen & ink drawing or impressionistic painting.